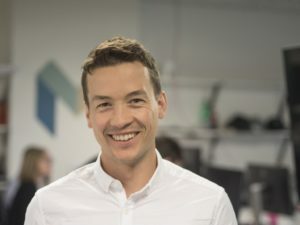 In this guest post for Thoughts at the Trust, Monzo’s head of financial difficulties, Stuart McFadden, shares his thoughts on designing products and services with debt problems – and vulnerability – in mind. Debt and mental health go hand in hand. Research shows that people with mental health problems are much more likely to experience problem debt. It’s a vicious circle with each attributing to or exacerbating the other. I’ve given advice and listened to hundreds of debt advice calls, and – it’s clear that getting the right advice can take away a huge burden. Getting the right advice is often the first step towards improving your finances, and your mental wellbeing. The trouble is that the help and advice tends to come only after the debt problem has become a serious one. Too often the trigger to getting advice isn’t because a problem is on the horizon, but because things have come to a head. It could be because a bailiff is knocking at the door, eviction is threatened or simply because nobody will lend to you anymore, so you can’t continue to ‘rob Peter to pay Paul’. This is why it is essential that the industry designs products that help people avoid problem debt, and equips people to tackle debt problems when they do arise – and always with the needs of customers in vulnerable circumstances firmly in mind. There are a lot of things that an organisation can do to help customers avoid problem debt and prevention is obviously better than cure. Monzo already has a number of features that help you manage your money, for example providing real-time visibility over your finances, notifications every time you spend, and the ‘top up’ feature which helps with budgeting. In addition to this, designing products with mental health in mind to help people avoid excessive or impulsive spending behaviours will have untold benefits in the future. This includes features such as blocks on purchases made late at night to avoid excessive spending, or a feature where spending needs to be verified by a ‘trusted friend’ or carer to help those who struggle to curb their spending. We believe it is also very important to constantly open ourselves up to challenge and get input from experts. It was a pleasure to have Chris Fitch and Lyndsey Humphries from the Money Advice Trust come in to Monzo to see what we do. In particular, it was great to be a fly on the wall listening to Chris speaking to our Head of Product and design team about ways which we can use our tech to identify and support vulnerable customers. Likewise, visiting National Debtline and Business Debtline in Birmingham to listen to calls has been hugely beneficial in helping us to understand what a good financial difficulties ‘journey’ should look like. My rather lofty challenge when I joined Monzo was to “make financial difficulties a thing of the past” for Monzo customers. I will never admit defeat on that goal, but it may take a bit of time. We want to ensure a financial difficulties journey that doesn’t focus solely on getting people to pay us back once they are in trouble, but also focuses on spotting problems early on and helping people to get back on track with their finances. Using our data to spot potential difficulties early on, and ‘nudging’ behaviours or providing early support, will be crucial to this. Over the next year we want to build and constantly refine a journey that will empower customers. For example, customers should be able to use real data from their account history to create the framework for a realistic budget that can then be edited. This will take the form of the widely accepted Standard Financial Statement – allowing the customer to use the budget with all their creditors without having to negotiate with each individually, follow a seamless digital journey from Monzo to free advice agencies, and monitor performance against this budget in real time by using other Monzo features such as Targets. So I am very excited (and I think quite rightly) about the direction that tech and product design can take us – including for people in vulnerable circumstances.  With all the right people involved, such our design team, product team and of course experts from the debt advice world – not least colleagues at the Money Advice Trust – I think there is a great deal that can be done to help people avoid problem debt, and to tackle debt if it ever does become a problem.